The Indian Premier League is the most exciting T20 tournament in the world. Players from all over the world are picked up by the franchises. Teams are stacked up almost equally which provides the fans with an opportunity to witness some nail-biting encounters. IPL 11 has witnessed more than its share of thrilling encounters already and we are not even halfway through the tournament. 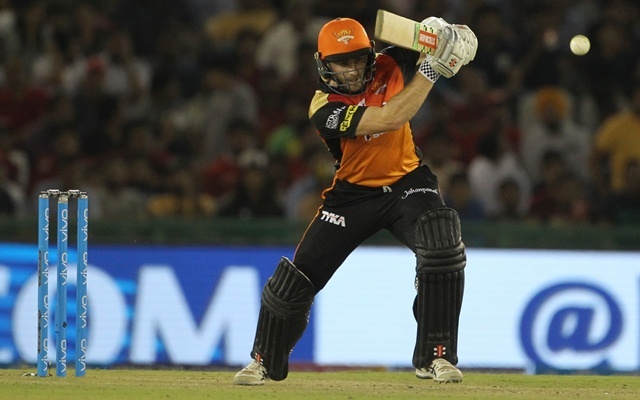 Kane Williamson had huge shoes to fill in at Sunrisers Hyderabad. However, it was not the first time as he was entrusted with the similar role when Brendon Mccullum retired from international cricket. Though he does not have the power hitting ability that Warner possesses, he can be equally dangerous. SRH won three matches on the trot but have suffered defeats in the last two games. While Warner is out, there are injury concerns for Bhuvneshwar Kumar and Shikhar Dhawan and opposition batsmen seem to have figured out Rashid Khan a bit better. Williamson believes that it is important to stay in control irrespective of match situation but admits that emotions get the better of the players during close encounters. “It’s definitely a challenge when the games get close. The responsibility of a captain or a leader at that time (is to figure out) what works next, to try and remind ourselves how can we best offer ourselves to others around us than get too caught up in the emotion. It’s certainly a challenge and it gets the better of all of us at certain times.” Williamson was quoted as saying by cricbuzz.com. In spite of two defeats, SRH still fares better than most of the sides. It may be a warning sign for Williamson and co to tighten things up and get back to winning ways. Amidst all concerns, the form of the skipper is a positive sign for the orange army. Williamson played a special knock against CSK and almost took his side home. SRH face Mumbai Indians next and he must play a similar knock for his team to have a chance against the Men in Blue. The last time these two teams met, SRH prevailed in a last over finish.